April 21st Easter Sunrise Service 6:30am with Communion. Easter 10:00am Service with Communion. Occuring at St John's Lutheran Church. Church services affected by inclement weather will be posted. 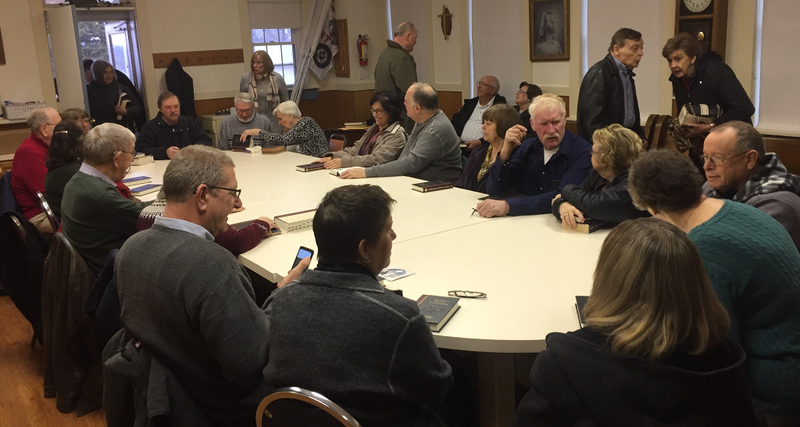 April 28th Voters meeting after church. 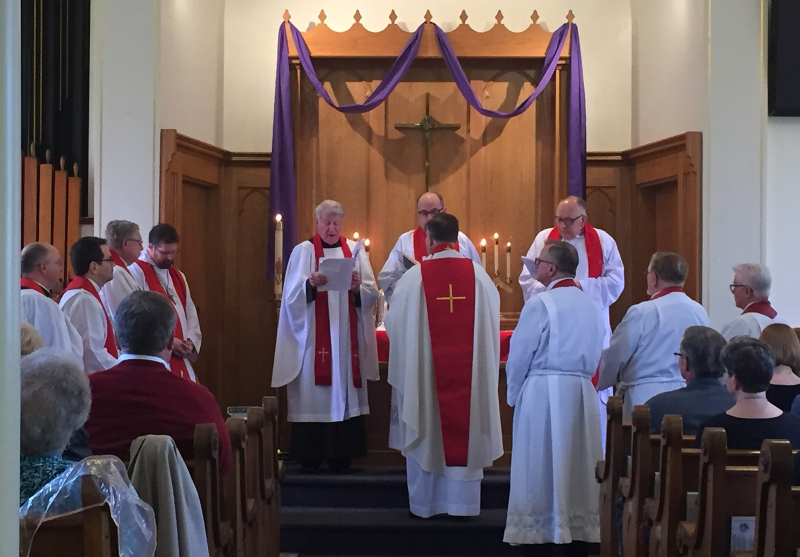 St. John's - Beaufort presents and in-depth study of Luther's Small Catechism. 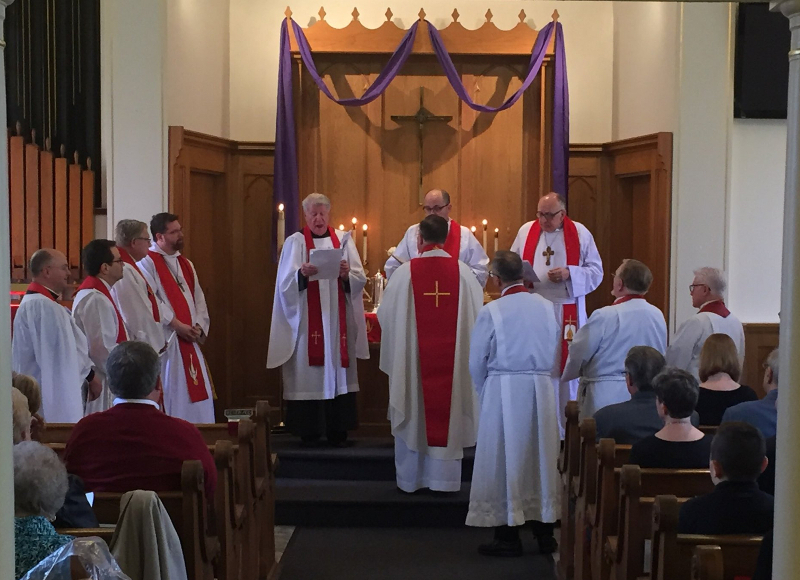 What does it mean to be a Lutheran? How long has it been since your Confirmation? Join us as Pastor Marty leads this series which has begun on January 27th at 9:00a.m. held in the Sanctuary. Catechism provided. Direct questions to Pastor Marty at (815.529.3884). Adam and Eve were created Holy by God, but lost this Holiness through disobedience. People are still disobedient by their inability to keep the Ten Commandments perfectly. God loves us in spite of our disobedience. God loves us so much that He laid the guilt and punishment of all the sins of all people on His Son, Jesus Christ. Jesus Christ, true God and true man, lived a perfect life on earth, suffered and died on the cross in our place, for our sins, and rose again to prove His victory over sin and death for the justification of all before God. Full and free forgiveness is offered to all people. Those who believe in Jesus as their Savior and accept His forgiveness become new persons in Christ. Their lives are filled with the fruits of the Spirit (Gal. 5:22) and a greater purpose for living. The Holy Spirit wants to impart this belief to everyone through the power of God's Word, the Bible, which we believe to be God's inspired revelation of Himself to all people. The Church of Jesus Christ is composed of all those who trust in Him for forgiveness and eternal life, and adhere to His teachings. Christ will come again visibly at the end of time as the righteous judge of the world, raise all from the dead and give to believers in Christ eternal life. This We Believe, Teach and Confess! 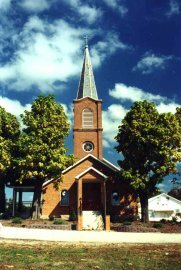 August 1852 - St. John's Lutheran Church was organized with the following charter members: Friedrich Osiek and his wife Wilhelmena Charlotte, Martin Kleinebecker and his wife, John Bente and his wife, Henry Kampschmidt and his wife, Frederick Biest and his wife, William Kampsmith and his wife, William Hottmer and his wife, William Stumpe and his wife, Jurgin Dierking and his wife, Henry Hearth and his wife, Henry Fechtler and his wife, Henry Lohmeyer and his wife, Henry Wilbenscher and his wife, Henry Koch and his wife, Henry Temme and his wife, and Friedrich Koch and his wife. October 28, 1852 - The original land investment of 20 acres was purchased from Friedrich Osiek and his wife Wilhelmena Charlotte, nee Kampschmidt for $30.00. 1852 - The first church building was built and made of logs, and used until 1876, when a brick church was built. October 15, 1858 - 10 more acres were purchased for $25.00 making a total cost for the land of $55.00. August 9, 1879 - School established and decision made to build new schoolhouse. 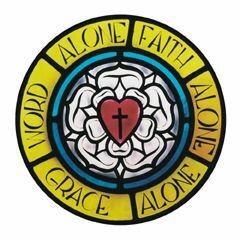 October 4, 1885 - St. John's joined German Evangelical Lutheran Synod of Missouri, Ohio and other states. January 1, 1891 - To build Tower / Steeple and have bell to call us to service. 1892 - The installation of a 1,200 pound bell in the steeple. July 4, 1897 - School picnic. 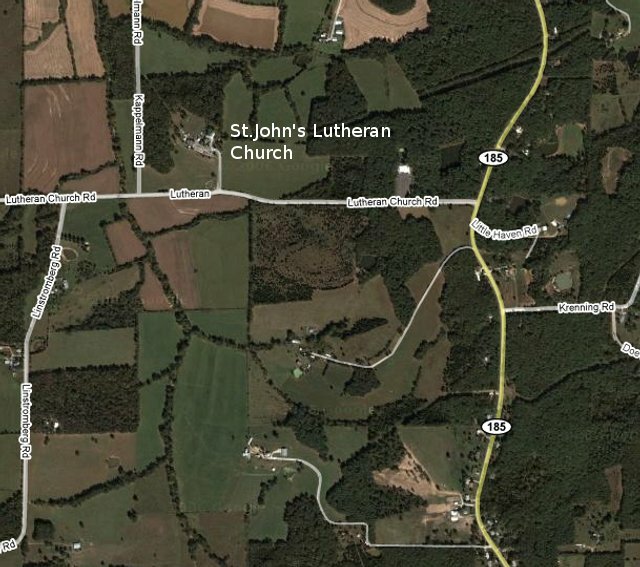 July 29 1900 - St. John's Lutheran Church was built near the center of the village of Beaufort in 1876, only to have the town move away in pursuit of the railroad line. 1911- A new organ was purchased replacing the Melodian in use previously. 1911- The congregation voted to have sermons in English, rather than all in German which had been used heretofore. 1921 - Building addition to Parsonage. 1927 - School House destroyed by a tornado and replaced shortly afterward. October 27, 1927 - Tabea Ladies Aid met and organized. November 11, 1927 - Aid Association for Lutherans - Local Branch No. 972. First recorded meeting. 1930 - The first pipe organ was installed. November 1936 - The St. John's Walther League organized. 1936 - The "May Pole". February 7, 1937 - St. John's Ushers' Staff organized. February 14, 1937 - To build a light line. 1938 - Weekly Bulletin began publication by the St. John's Ushers' Staff. September 3, 1939 - Church Rededicated to the service and glory of God. 1941 & 1942 - The Auditorium was built as a memorial to those who served in WW II. It was built out of oak logs cut from the property by the congregation. The Auditorium was dedicated May 31, 1942. August 9, 1942 - Ninetieth Anniversary Celebration. September 1944 - The Ladies Aid decided to send Christmas boxes to the boys in service. November 18, 1949 - Couples Club organized with 7 Couples. August 10, 1952 - St. John's Lutheran Church celebrated their Centennial year. Rev. Walter J. Gieselman was also installed as pastor of the congregation that same day. November 16, 1969 - Drill a Well. June 29, 1975 - Steeple completed with brick work and tuck pointing. April 1982 - Decided to have a Pork Sausage Supper in the Fall. April 12, 1982 - Siding project on Auditorium about completed. March 1983 - Church pews refinished, interior walls painted, new floor tile installed in church by Ladies Aid. October 17, 1983 - Change Church Picnic date to 3rd Sunday in May. April 26, 1987 - Open House and Re-Dedication of the Parsonage. Spring 1990 - The Picnic House demolished and replaced with Pavilion. 1991 - The Marquee was placed. 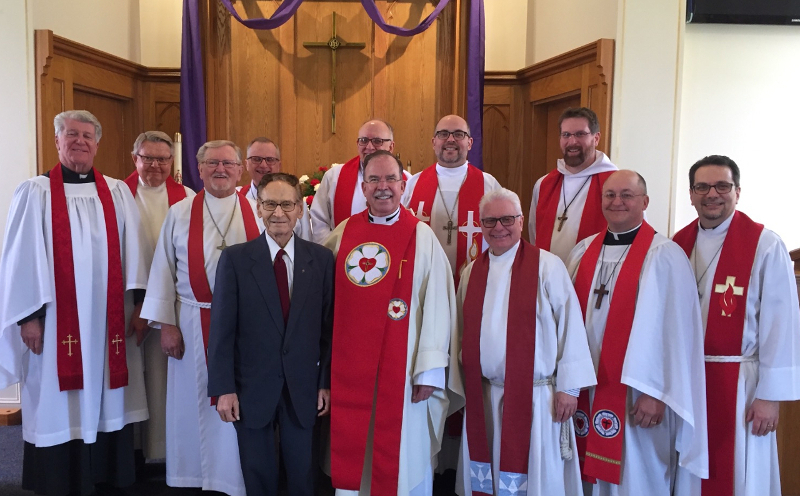 August 16, 1992 - St. John's Lutheran Church 140th Anniversary Special Service. 1992 - Fall Cards group organized, the primary card game being Euchre. 1998 - Landscaping with curbing tiles in the front of church. The Ladies Aid introduced their new Cook Book. Spring 2000 - Stone designating St. John's Lutheran Church and Landscaping at road entrance. Spring 2001 - Completed School House Renovation. Dedication service June 17, 2001. Summer 2002 - 150th Year Celebration. August 24, 2002. These are all Links to devotions to which you may listen. All of these Devotions require the Windows Media Player. It can be downloaded by clicking the icon below. From the East: Take I-44 west to MO Highway 50 west. Follow Hwy 50 to MO Hwy 185, Turn right (North) at the Voss Market. Follow MO 185 to Lutheran Church Road, Turn Left. Church entrance at the bottom of the hill on the right.